Lotus is about to return with a big bang, as the company is reportedly working on a top secret $2.5 million electric hypercar. 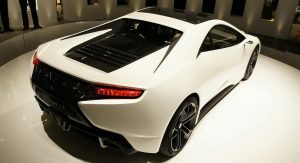 Autocar reports that the project is codenamed ‘Omega’ and that development is well under way, with Lotus planning to reveal a concept model next year. 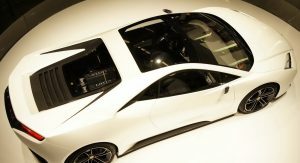 The new electric Lotus hypecar will reportedly be powered by a bespoke all-electric powertrain when it arrives in the market early in the next decade. 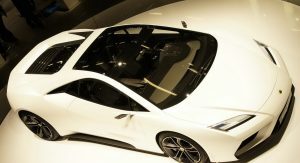 Geely, the new owners of Lotus, is keen on turning the British car maker into their halo brand for technology and performance. 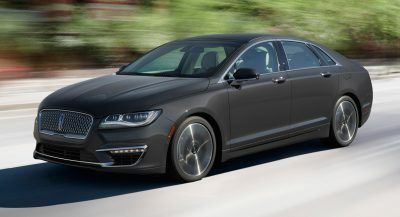 The Chinese group also owns Volvo, Polestar, Lynk&Co, the London EV Company (formerly known as London Taxi Company), Proton and more. The target for the Lotus ‘Omega’ is to offer over 1000hp from its electric powertrain, which could feature a next-gen battery pack with improved power density in order to keep kerb weight in check. This is Lotus after all. 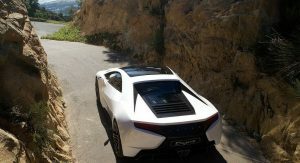 All-wheel drive through the use of multiple electric motors is a given, in order for the new hypercar to harness its colossal horsepower and torque figures while driving range should be over 250 miles. If the report for the new Lotus hypercar turns out to be true, the upcoming ‘Omega’ will easily become the most extreme Lotus of all time, going after traditional hypercars from companies like Bugatti, Koenigsegg and of course Rimac. 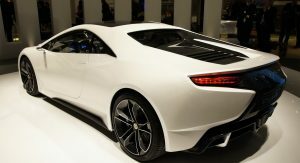 I’d rather Lotus get the Esprit concept into production first and introduce a new generation of the Elise, Exige, and Evora before building any electric hypercars. Maybe build a new Elan while they are at it. Like they worked at that 3 concepts lunched in 2010? Stay chill..they will work another 8 years to this project. 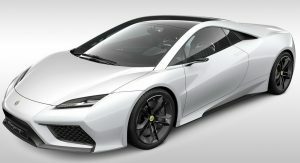 Not sure many millionaires are gonna spend 2.5m on an electric Lotus.. 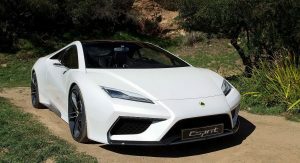 It pains me to say this, but Lotus should be working on a compact luxury-sport SUV. 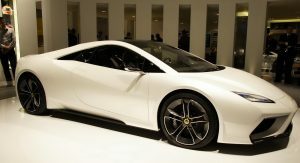 Lotus has ALWAYS had money issues and right now a compact SUV would line their pockets. Same timeline as “new” Supra though. We can revisit this Lotus SUV chat about it in 30 years. 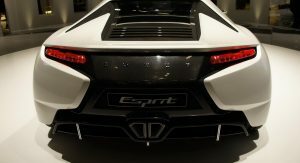 While I concede that ignoring electric/hybrid tech in this day-and-age would be foolish for any brand, the idea of a heavy, AWD, 1,000 HP Lotus built for top speed makes me sick. 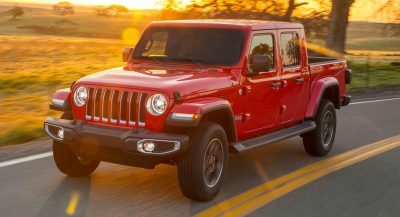 Colin Chapman would be rolling over in his grave. I agree with Mr. EP9: get out a new generation of the bread-and-butter Elise and Exige first. If they want to go the flagship hypercar route, build something to compete with the Aston Martin Vulcan and Valkyrie, AMG One, and McLaren Senna. There is no battery technology which currently will yield a light 1,000 hp/240mi range vehicle–and lightness will always be a Lotus signature. Finally someone with money Buys Lotus. I hope they come roaring back. Maybe I’m stuck in a previous era. Lotus used to be great at building light, simple, relatively inexpensive, pseudo-supercars. This vehicle is far that. THEY MUST KNOW SOMETHING ABOUT UPCOMING BATTERY TECH THE REST DON’T. Lotus could have been what Mclaren is now. Too bad for them, they had the plans, the ideas, the tech and were pretty advanced on the cars.